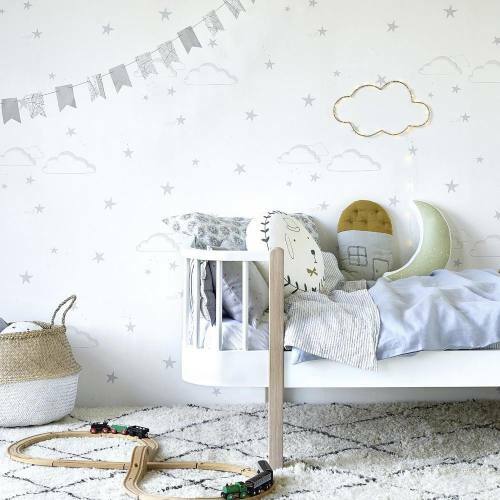 Our Starry Sky wallpaper by Hibou Home, features delightfully hand drawn stars and clouds in stylish metallic silver print on a neutral white background. This charming pattern will add subtle decoration to a nursery or child's bedroom and is perfect if you are looking for a gentle backdrop to neutral or natural accessories. This design is printed onto non-woven wallpaper and is paste the wall.